Riding safely requires proper training, safety equipment such as boots and helmets, and a well-trained horse. Unfortunately, traditional garb (see rider's cowboy hat) is common in some disciplines. Horse related injuries are serious and targeted prevention efforts should be a top priority of everyone involved with horses, whether as casual, occasional riders or competitors involved in training and riding horses every day. Along with automobile injuries, equestrians have one of the highest rates of serious injury worldwide. Riding or horse related accidents can happen to anyone and specific studies show that 40-60 percent of these accidents could have been prevented through understanding and using safe riding and horse handling practices. Lack of preparation for unusual situations. Many riders know the safe way to avoid accidents, but choose either deliberately or unthinkingly to engage in risky behavior. Being prepared for any emergency that might arise. It is important to raise awareness of risks associated with recreational horseback riding among riders and service providers, such as guest ranches and outfitters. Educational lectures and the distribution of educational literature is an effective injury prevention measure. Providers may be able to decrease the number of horse-related injuries by enforcing rider screening procedures and procedural safety measures. Riders of horses need to think, train, and prepare for riding just as other athletes do in their sports. Head injuries and other serious injuries occur with equestrian activities and it is important for doctors, instructors, and parents to promote the use of appropriate safety equipment, including helmets, especially for children. Most professionals in the equine industry advocate the use of equestrian helmets to prevent head trauma. Foot and ankle injuries can be prevented by the use of safety stirrups and strengthened riding boots and limiting the use of spurs. One study surveyed 85 patients who had been injured while riding or tending to horses while at a guest ranch or horse outfitter. Patients ranged in age from 2 to 77 years. More than half were inexperienced or beginner riders. The study noted that injuries were related to rider inexperience, equipment problems, or unpredictable horse behavior. Head injuries account for approximately half of equestrian-related injuries and are the most common cause of admission to a hospital. Sixty percent of fatal injuries to riders are caused by head trauma. Fractures account for 30-40% of serious horse-related injuries. Equestrians are also at risk of serious injury on the ground. Horse hoof kicks can cause contusions of the extremities, the back, and the trunk and are the most common. Isolated facial injury from a kick is not uncommon. Plastic surgery is often needed because of the complexity of the facial soft tissue wounds and broken bones. The incidence of head injuries in children is higher than the general rider population, although injuries in children vary in their severity, these injuries are significant considering that nearly half of patients experience long-term disabilities. Additionally, serious foot injuries may occur in children during normal equestrian activities. Foot lesions and fractures that require hospital admission of pediatric patients can be inflicted by the horse falling on the patient with the child's foot caught in the stirrup between the animal and the ground. 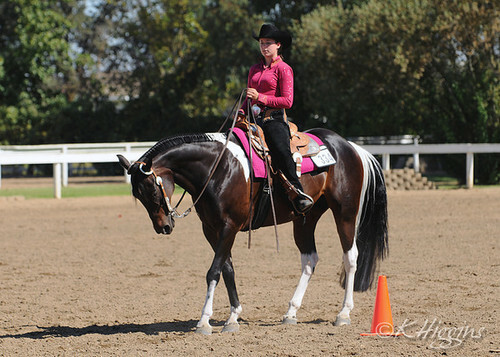 Riders of horses need to think, train, and prepare for riding just as other athletes do in their sports. In some cases, alterative preventive and treatment methods for riders might include chiropractic adjustments and stretching exercises, along with attention to medical conditions such as diabetes and allergies that might affect the rider. For example, riders prone to severe allergic reactions should carry Benadryl and an EpiPen if experience indicates they might be necessary in an emergency. Riders with a history of diabetes should be prepared in case of episodes of low blood sugar. Other medical conditions should also be considered in making sure experiences with horses are pleasant, productive and without risk of distress or injury. Additionally, horseback riders, when compared to athletes in other sports, lack the exercise performance that leads to strength and better coordination. Equestrian athletes need to supplement conventional sport activity with traditional aerobic and anaerobic training regimens. This lack of adequate physical conditioning of the rider may be a contributing factor to injuries. 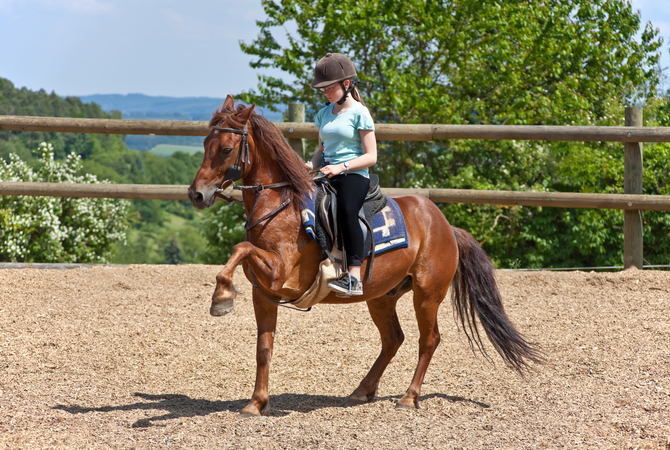 Finally, riding with a partner or under supervision of an adult can lead to prompt medial attention if a serious injury is sustained, and the use of good judgment when handling and riding horses can prevent many accidents from taking place. For some statistics on the dangers of horse riding, you should take a look at Somber Statistics about Equine-Related Injuries.